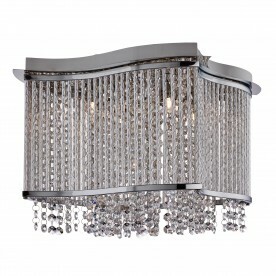 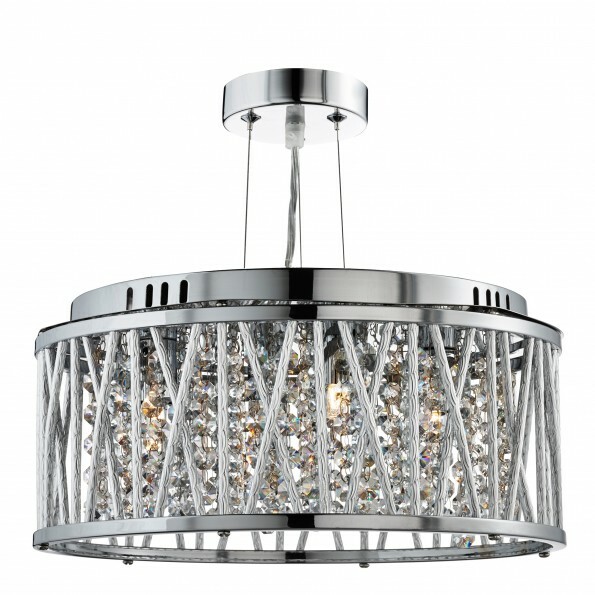 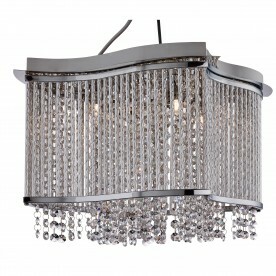 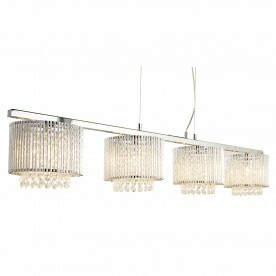 This Elise Chrome 3 Light Fitting with Crystal Button Drops and Aluminium Tubes Trim makes a bold centrepiece for any bedroom, living room, dining room or kitchen. 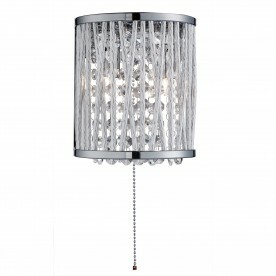 The circular chrome finish fitting has aluminium tubes in a criss-cross and straight-lined pattern around the outside. And the centre of the fitting is adorned with clear crystal button drops, which sparkle beautifully when the lights turn on.